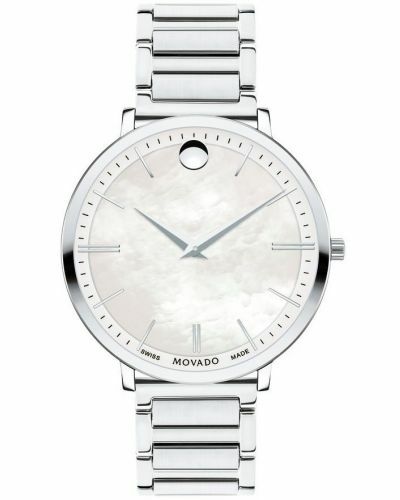 This stunning ladies Movado watch is perfect for everyday wear with its ultra slim line profile and on trend rose gold plating detail. 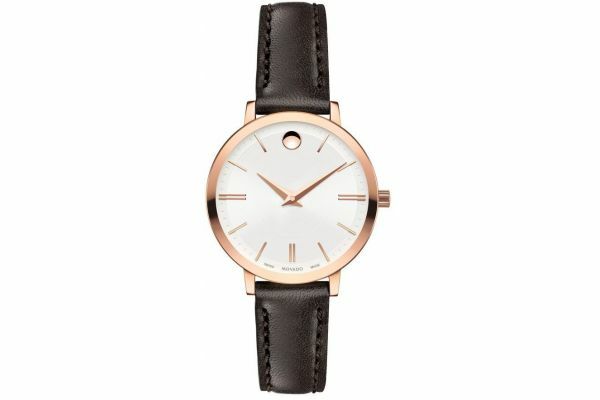 The strap is a beautifully soft brown leather complimenting the rose gold tones seen throughout the case and dial. The dial is cream with easy to read slim baton markers. 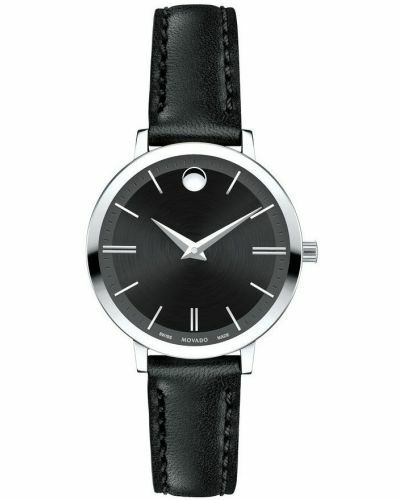 With a Swiss Made quartz movement and 2 year guarantee, this watch is precise and excellently made.